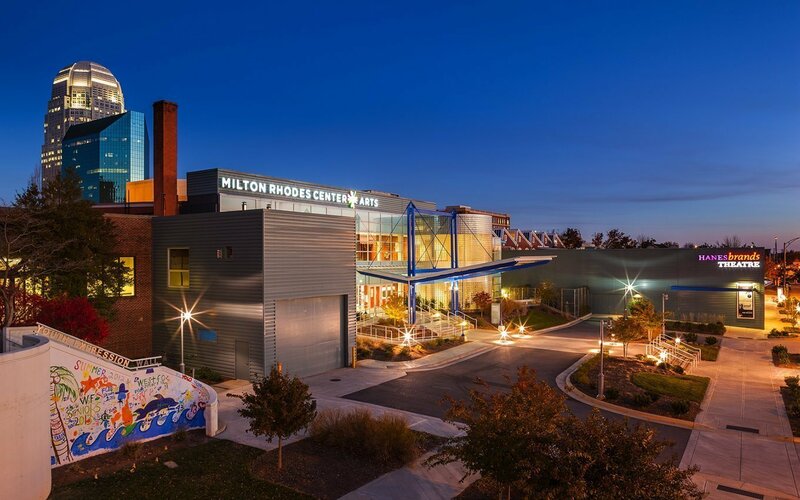 The Milton Rhodes Center for the Arts (MRCA) + Hanesbrands Theatre is a hub for performance, visual arts, and community events. 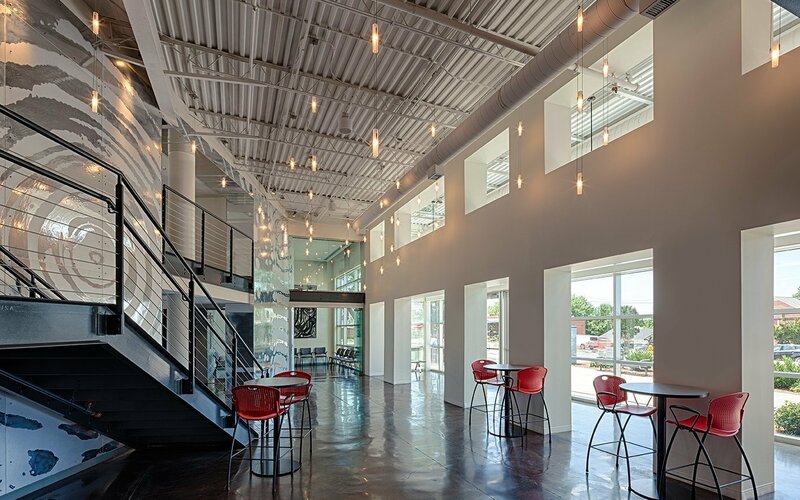 The creation of the Center, formed by connecting the historic Sawtooth building to an adjacent, vacated car repair shop, was an important milestone in Winston-Salem’s downtown revitalization. The Sawtooth building, a former Hanes hosiery mill, opened in 1910. Known for its jagged roofline resembling a saw’s “teeth,” the red brick building was donated to the city and renovated into the Sawtooth Center in the 1970s. 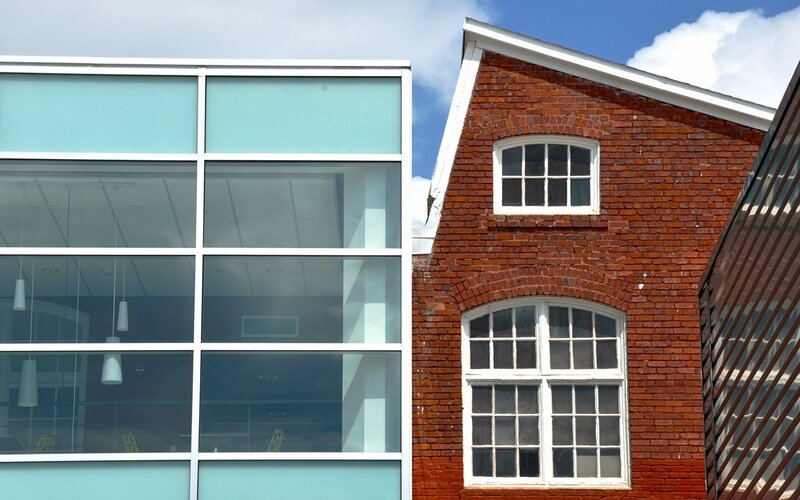 While it served its purpose as a hub for art instruction and gallery space, the layout was awkwardly configured and limited in usefulness as a public venue. There was space for only a very small theater. From the beginning, the architects’ goal was to create an arts center with modern amenities while retaining much of the Sawtooth’s character and architectural elements. Throughout the building, concrete columns, wood roof trusses, original glazing and the original concrete floor were exposed. 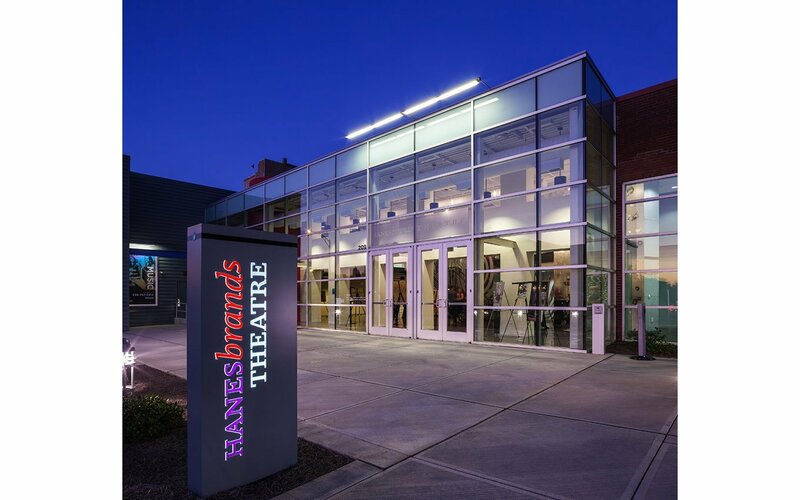 The former AC Delco repair shop was transformed into the Hanesbrands Theater. 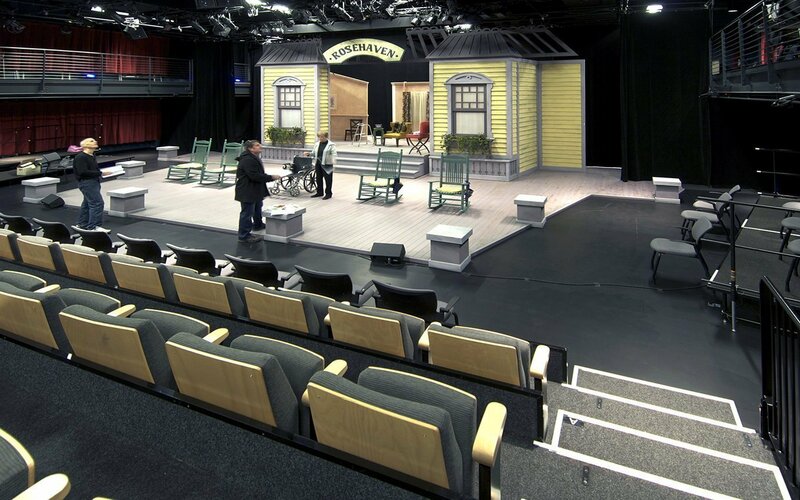 Maintaining the high-volume space original to the shop, the design team carved out a 2-story lobby, a 300-seat studio theater, offices and support spaces. 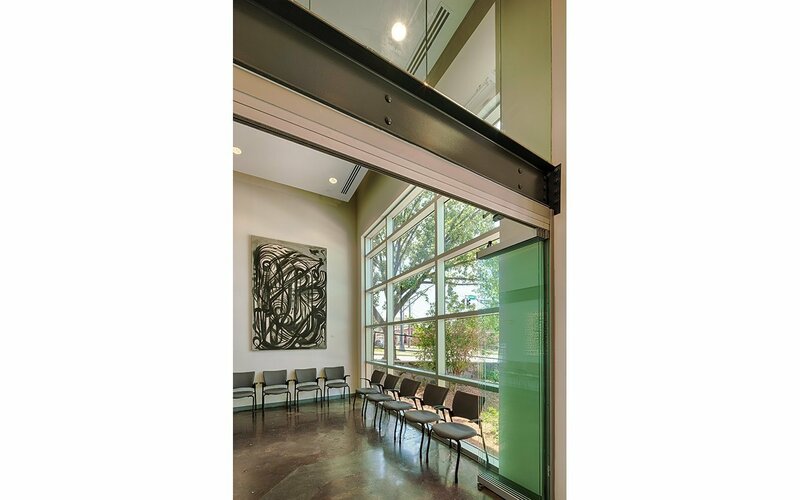 The original fire doors from the shop became art objects within the theatre, and the original shop openings – now enclosed and painted white – provide a framework for the lobby. 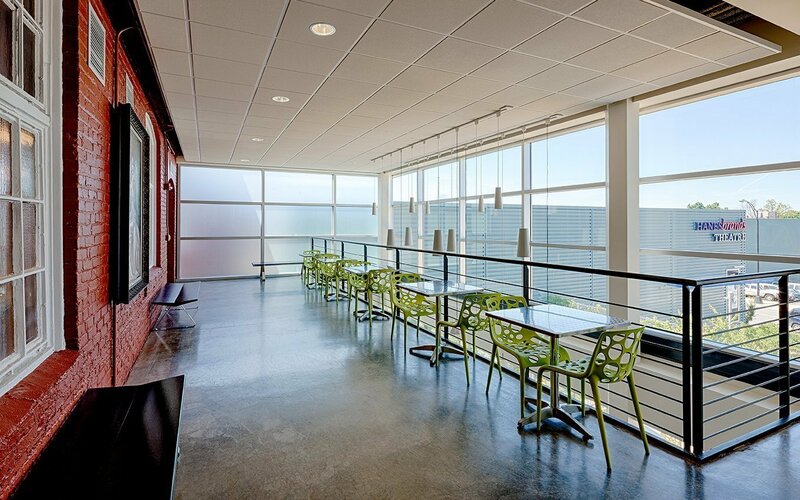 MRCA houses the Sawtooth Center for the Visual Arts, a small café, conference rooms, several large multipurpose spaces, and the offices of the nation’s oldest Arts Council. 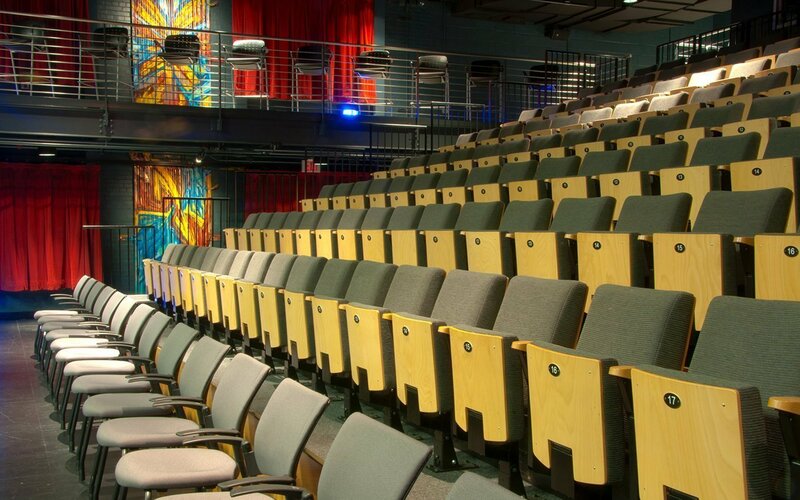 MRCA and Hanesbrands Theatre is one of downtown Winston-Salem’s most vibrant spaces, with expanded classroom and gallery space that have enhanced its reputation as a valuable resource for the arts and the community.